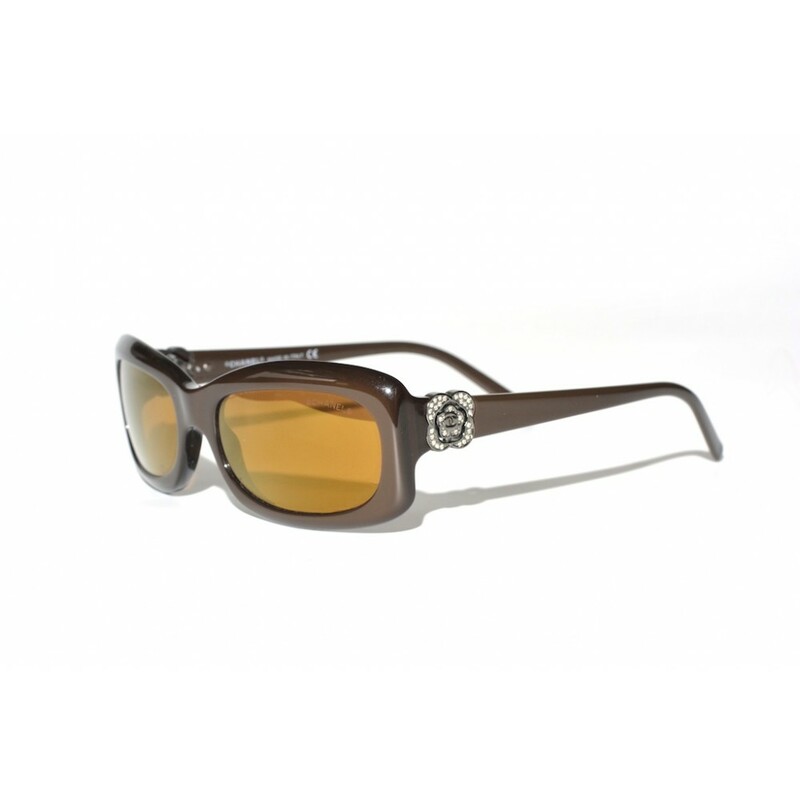 The Chanel 5127B is a pair of sunglasses that is not too large, but features a few style elements from the well-known oversize glasses. The browline, for example, is a little bit lifted. 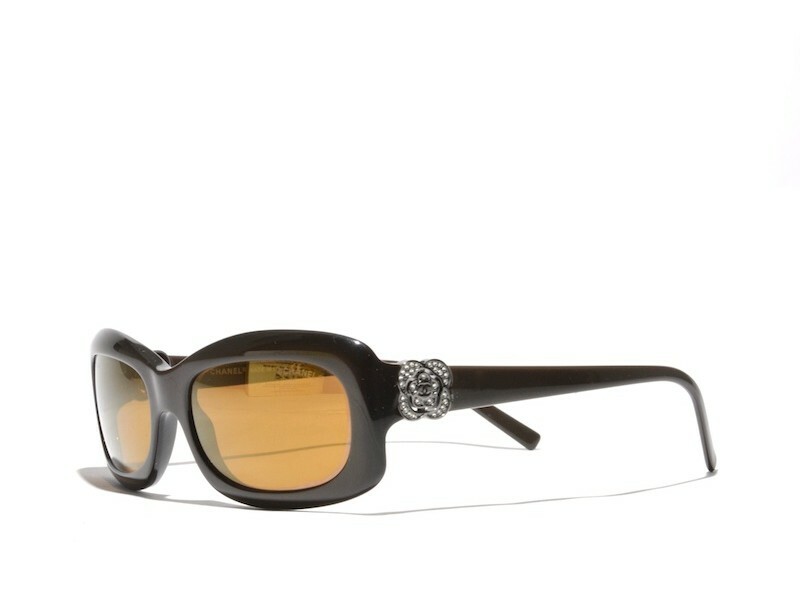 Also very typical for this pair are the gold mirrored lenses and flower-shaped hinges with Swarovski crystals.